Covered California will make it simple and affordable for you to purchase health insurance and access financial assistance to pay for coverage. Starting November 1st, 2015 you’ll enter information about you and your family, including your income, household size, and more. First provide some basic information. Then create a user name, password, and security questions for added protection. Next you’ll see all the plans and programs you’re eligible for, and compare them side by side. You’ll also find out if you can get lower costs on monthly premiums and out of pocket costs. From the home screen hover over "GET HELP". Then click on "Find local Help". On the next screen select "Find Certified Agent" and click on it. on the following screen "Search by name". Type in Clinton Perry and hit "Search". Clinton will show up in the next screen. 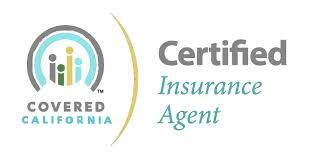 You can then continue to select him as your local agent, to help you with all your Covered CA questions and enrollment. 1. Social Security numbers or document numbers for legal immigrants. 2. Employer and income information for every member of your household (from paystubs or W2 forms). 3. Policy numbers for any current health insurance plans covering members of your family. 4. A completed employer coverage tool form for every job based plan you or someone in your household is eligible for. In order to see if your household qualifies for a government subsidy all fields below must be complete.